The entrance and retention standards for Professional Military Education instructors have always been high, but now they also have become specific. Recent changes to PME instructors’ specialty description make it clear that they cannot have any convictions in a civilian or military court, a nonjudicial punishment, evidence of emotional instability, and other blemishes on their record. The changes are part of an Air Force-wide effort to better describe the duties performed by airmen with a Special Duty Identifier, or SDI, said Mike Dickerson, a spokesman for the Air Force Personnel Center. 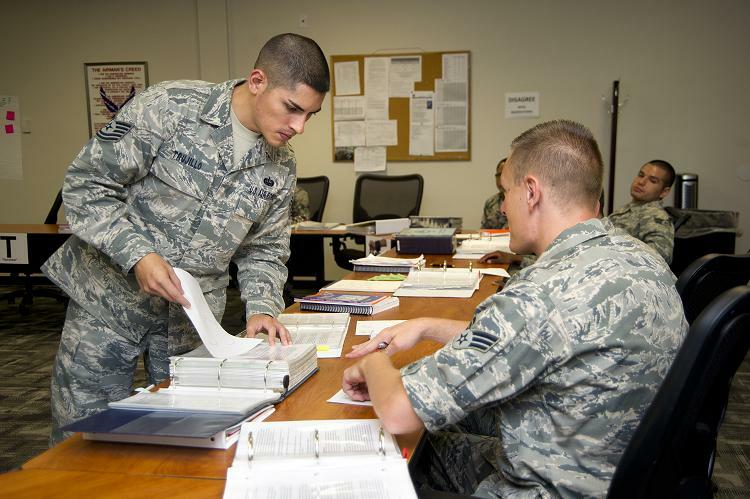 “SDIs are given to airmen who are normally drawn from a wide range of primary career fields to fill special duties (SDs) for a limited time,” Dickerson said in an email. Examples of other airmen who have SDIs are military training instructors, recruiters and career assistance advisors, he said.